Hearing loss is constantly on the rise in America. Genetic factors have always contributed to hearing loss, and workplace and industrial noise have greatly increased hearing loss in the last two centuries, due to the increase in loud machinery. In the last few decades, there has also been another factor contributing to the rise of hearing loss—rock concerts! Find out more about rock concerts and hearing loss in this blog. Since its dawn in the mid-20th century, rock music has always been loud. It’s brashness and volume is what separated it from the more prim and proper music of before, and this volume has been steadily causing hearing loss in many rockers and music lovers alike. Rock concerts are a musical experience like no other, and millions of music fans every year go to see their favorite musicians live. However, while you’re enjoying Bruce Springsteen rock out to “Born to Run” or see the Rolling Stones for the fiftieth time, your ears might be suffering. According to the Hearing Loss Association of America, live music can reach up to 135 decibels of volume, which is a serious threat to hearing health. For most rock concerts, whether they are in a football stadium or a standing-room-only club, the speakers are positioned to blast musically equally as loudly no matter where you are positioned—it’s hard to move away from the excessive noise. This is not only a problem for music lovers; it’s a serious issue with musicians as well. The rock ‘n’ roll lifestyle has many health implications, and hearing loss is just one of the many issues that musicians deal with after a lifetime of fast living and loud music. 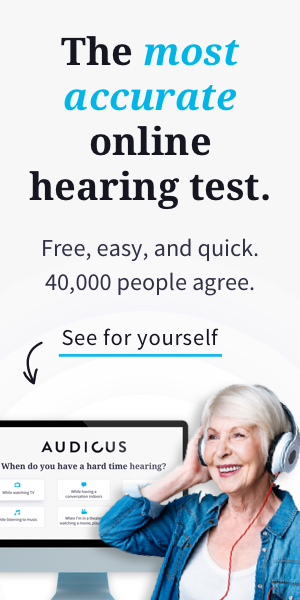 Sting, Bono, Neil Young, and Pete Townshend are just a few in a long line of rockers who have confessed to developing hearing loss over the years. As a music lover and a health-conscious person, you probably are having trouble choosing between going to rock concerts and protecting your hearing. Luckily, you don’t have to make a choice! There is a simple and inexpensive way to protect your hearing while you’re rocking out. As a huge fan of live music, I have been going to shows all my life. Until recently, I just ignored the faint ringing and ear pain that would follow after a rock concert. However, I recently tried using high-fidelity earplugs during a concert and the experience was excellent—the bass was not painfully loud, my ears didn’t hurt afterwards, and I could hear the music perfectly. It’s extremely important to wear ear protection at rock concerts—every time your ears are blasted with loud music, they get a little more damaged. Ear damage is irreversible, so prevention is key. Earplugs are an easy, cheap, and discreet way to protect your ears without sacrificing any part of the rock concert experience! Many professions and trades involve the use of equipment that is loud, noisy, and very often in a pitch or decibel range that is very harmful to the ears. Aside from being noise pollution, the workplace hazard of loud equipment has ignored for far too long. Prevention and protection is exceedingly inexpensive when compared to the costs for healthcare (for hearing problems) -which are very high AND usually not covered, e.g., hearing aids, etc.